The world's most powerful sailing boats vie with each other for the Maxi Yacht Rolex Cup. Maxi Yacht Rolex Cup 2012, hosted by Yacht Club Costa Smeralda, took place from 2 to 8 September in Porto Cervo, Sardinia. Open to yachts over 18.29-metres (60-feet), the Maxi Yacht Rolex Cup pits together the largest, finest and most technologically-advanced monohull yachts in direct competition. The event additionally comprises the Mini Maxi Rolex World Championship. This new competition, baptised in 2010, creates a showcase for the popular Mini Maxi division (yachts from 18.29-24.08 metres). The state-of-the-art Maxi class (those from 24.09-30.5 metres) and the giant, and imperious, Supermaxis (yachts in excess of 30.5 metres), will do battle in their own long-established competition. Advanced multihull sailboat DCNS Hydroptere set the fastest certified one nautical mile speed record on Friday afternoon in San Francisco Bay. The Yacht Racing Association of San Francisco Bay and the San Francisco Bay Area Multihull Association were in attendance to certify that the Hydroptere set a record by sailing for one nautical mile (one mile 265 yds) at a speed of 37.5 knots (43.2 mph) using a precise GPS (Global Positioning System) timing system. The DCNS Hydroptere, which rises up out of the water on hydrofoils as it gains speed, is crewed by an entirely French team captained by Alain Thebault. The one nautical mile record was attempted in preparation for an upcoming chance at setting a new sailing speed record between Los Angeles, California and Honolulu, Hawaii. Bottom trawling - dragging nets across the sea floor to scoop up fish - stirs up the sediment lying on the seabed, displaces or harms some marine species, causes pollutants to mix into plankton and move into the food chain and creates harmful algae blooms or oxygen-deficient dead zones. Scientists from the Institute of Marine Sciences in Barcelona and the University of Barcelona found that trawling displaced sea floor sediment and made the seabed smoother over time. "Bottom trawling has been compared to forest clear-cutting, although our results suggest that a better comparison might be intensive agricultural activities," they write in a study published on the journal Nature. During the 20th century, more intensive farming techniques and changes in land use reduced the diversity of landscapes almost everywhere, say the researchers. Ploughing up land exposes the top soil to erosion by wind and water, destroying or weakening nutrients in the soil which are essential for many plant species to survive. As with soil, the seabed is composed of layers of sediment, holding nutrients that are vital for marine life. While farmers usually plough their land a few times a year, sea trawling can occur on a near daily basis, the scientists say. Fishing has also become increasingly industrial. As technology has improved and traditional fish stocks have been depleted, trawling fleets have gone into ever deeper waters in search of fish. Bottom Trawling is very harmful to ocean floor species, especially deep sea corals. The Finding Coral Expedition uses its small submersibles to investigate the impact that trawling has on corals. The scientists measured the movement of sediments on the sea floor caused by fishing activities in a submarine canyon in the northwest Mediterranean Sea. Deep-sea trawling became fully industrialised in the region in the 1960s and 180 large bottom trawlers currently operate to depths of 800 metres or more. The scientists found heavy fishing equipment moves sediments on upper continental slopes - the transitions between shallow continental shelves and deep basins - modifying the submarine landscape over large areas. They linked daily sediment movement to the passage of the trawling fleet, and found some of the movement was similar in size to the sediment transport caused by winter storms in nearby submarine canyons. 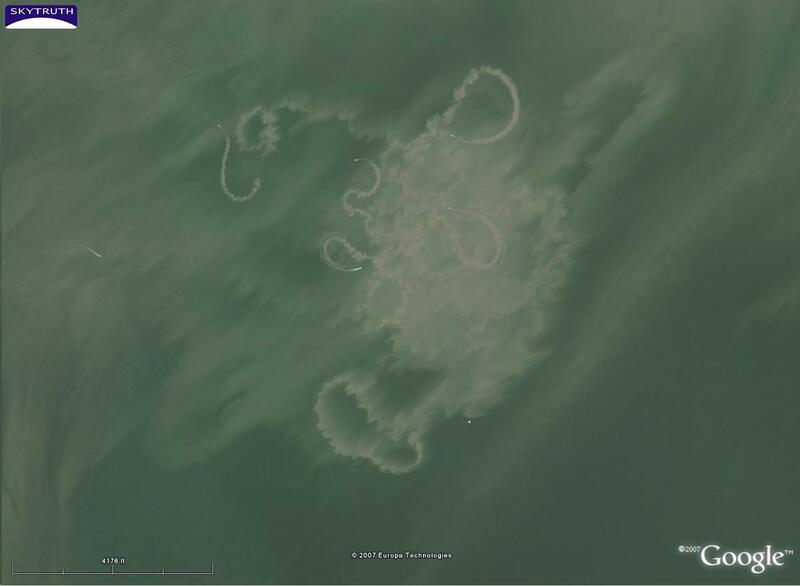 Digital images of the ocean (from Google Earth) include high-resolution pictures of fishing boats and the plumes of seafloor mud that they kick up. The plumes persist in the water for roughly eight hours after they're formed. If a satellite happens to pass over during that period, it can record the trawling for posterity. Using satellite navigation tracks from bottom trawlers operating in the area, the scientists discovered the tracks coincided with smoothed parts of the canyon at depths shallower than 800 metres. Untrawled parts of the canyon, by contrast, were dominated by a network of valleys. "The frequent repeated trawling (ploughing) over the same ground, involving displacement of sediments owing to mechanical redistribution, ultimately causes the levelling of the surface and produces morphological effects similar to those of a [ploughed] farmer's field," say the scientists. The ecological impact of trawling and its influence on changes to the submarine landscape should be considered a danger to the ocean ecosystem alongside global warming, rising sea levels, acidification and changes in ocean circulation, they add. 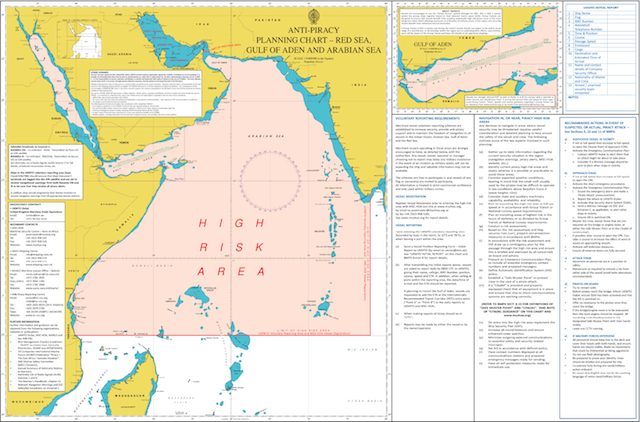 The United Kingdom Hydrographic Office (UKHO) has published chart Q6099 Anti-Piracy Planning Chart – Red Sea, Gulf of Aden and Arabian Sea for a number of years. 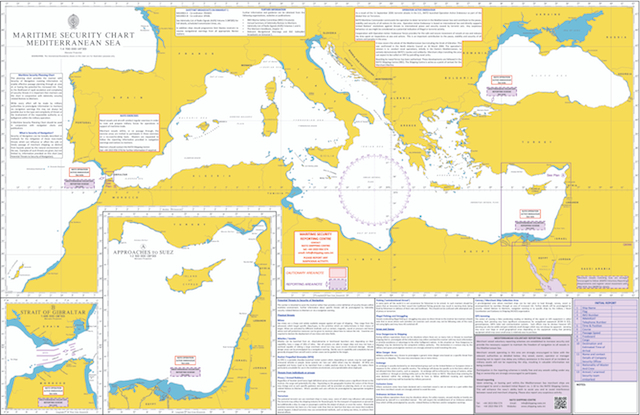 This chart has now been incorporated into a new series of Maritime Security Planning Charts (Q Series). 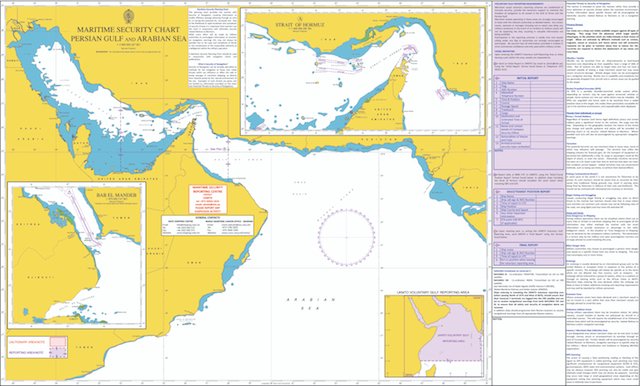 The two new charts in the series build on the concept of the original anti-piracy chart and contain additional security related information for mariners, including security advice, reporting schemes and contacts. The security planning charts are to be utilized in conjunction with normal navigational charts used for passage planning. The charts will be corrected, as necessary, by Admiralty Notices to Mariners. Security related information, for example, new exclusion zones or threats will be promulgated by means of Security Related Information to Mariners (SRIM). 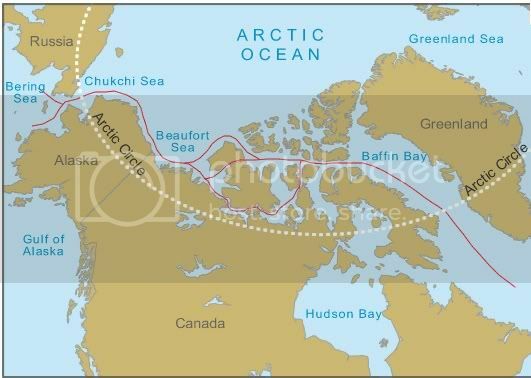 A Passage Through Ice’ Sailing Expedition has just completed the crossing of the infamous M’Clure strait in the Canadian Arctic to become the first sailboat ever to achieve this feat. The international expedition team consisting of Edvin Buregren, Nicolas Peissel and Morgan Peissel have spent the last three months at sea on a 31 foot boat sailing from Newfoundland Canada to Greenland, through the Canadian Arctic to track the depleting polar ice cap and bring awareness to climate change. 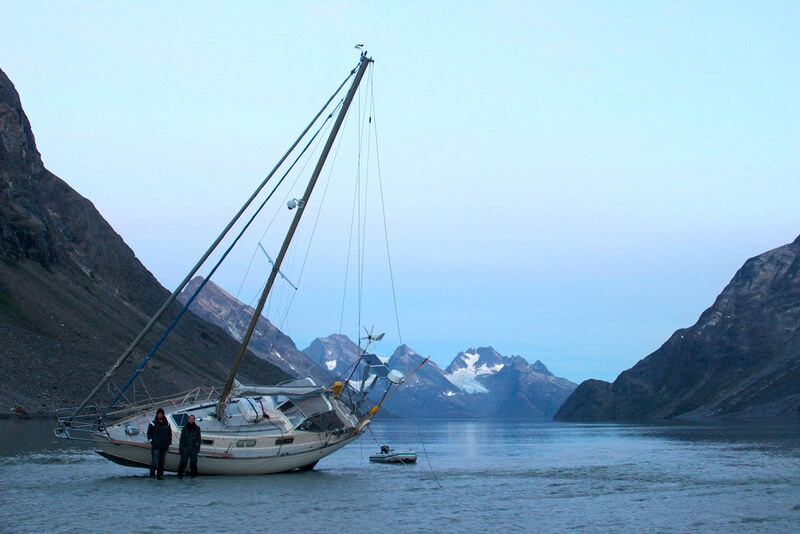 They sailed a narrow passage along Banks Island, rock on one side, sea ice on the other. 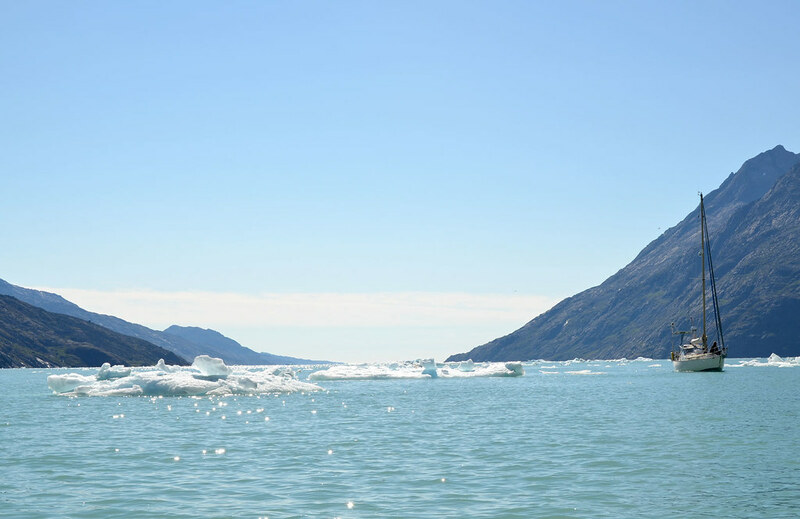 At any time the ice could surround and trap them, as it did to the strait's namesake, Robert McClure, in the 1850s. And there was no retreat. As the crew passed the narrow passage, the ice was sealing up behind them. Had the ice trapped the boat, the crew would have had to find a safe spot to anchor and hike to the nearest hamlet -- 500 km away. At worst, they would have to live inside the ship for the next eight months. They started their expedition last year, but then a combination of conditions and lack of time stopped them from finish their project. This year they managed to get through on a more northerly route than any other sailboat has ever done. Thinking that our goal of sailing from Newfoundland to the west coast of Greenland in a 31 foot fiberglass sailboat went off pretty well, we figured that checking out Evighedsfjorden (or, the appropriately named Eternity Fjord - without a doubt one of the most spectacular places I have ever witnessed) wouldn't pose any real issues. They are sailing an 31 feet old standard GPR sailing boat. The ice wouldn’t let them trough on their first attempt, and they had to turn around and return to Resolute from the heart of Parry Channel. Here they waited for a good ice and weather report. This week they finally got the conditions they waited for, and managed to push through. “The Arctic is melting at an alarming rate and is clear proof of our disharmony with the planet. The Belzebub II, followed the northernmost route on the map below, traveling west from Baffin Bay to the Beaufort Sea through the Canadian Arctic Archipelago. Theirs is the first sailboat to ever take this route. 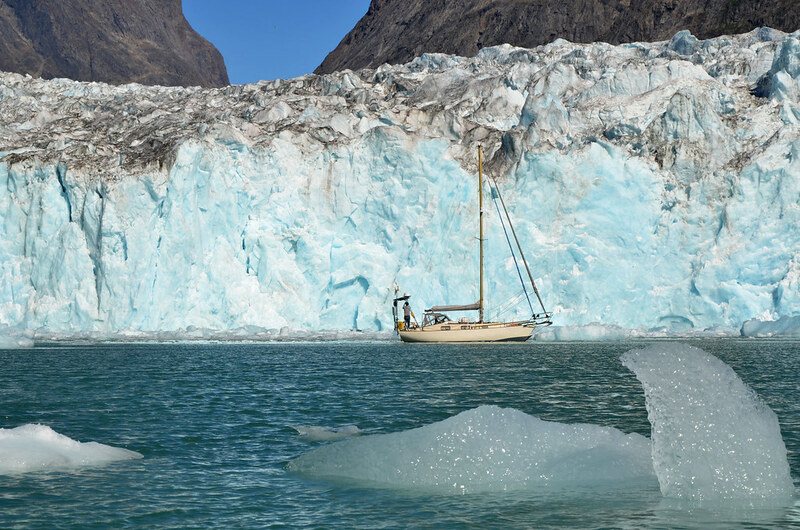 The three sailors and adventurers will continue to track the polar ice cap towards the Bering strait where they will head into the Pacific Ocean to complete the most Northern Northwest passage ever accomplished by a sailboat. University of Delaware's research vessel, the Hugh R. Sharp, is one of the most advanced research ships in the United States. The ship is outfitted with a full range of oceanographic equipment and instrumentation, including fiber optic wire. Researchers are using that wire with an underwater video system to help NOAA survey scallop populations along the mid-Atlantic coast. A new underwater explorer hit the seas this summer, armed with cameras, strobes and sonar and charged with being a protector of sorts to a half-billion dollar resource – the Atlantic scallop catch. The stainless steel Seahorse, which gets its nickname from its s-shaped silhouette, traces its roots to a conversation a decade ago between a biologist and a fisherman who was seeking a better way to track the scallop population. This summer, the instrument was towed over miles of seafloor, from Virginia to Cape Cod, taking millions of images and capturing details about marine life and the ocean floor that stretched beyond just the number of scallops. The Seahorse revealed previously unseen ocean topography, predators stalking prey, and even the furrows left where fishing gear was pulled along the bottom. Marine scientists just don't get this kind of look into the darkness on the ocean floor, said Dvora Hart, a National Oceanic and Atmospheric Administration mathematical biologist who leads the federal sea scallop assessment. "We've been kind of blind before having this type of information," Hart said. Eager for a low-impact way to tally scallops in the highly productive fishing waters off Cape Cod, local scallop fishers teamed with scientists and engineers at the Woods Hole Oceanographic Institution to design an innovative underwater camera called HabCam. It acts as a satellite for the seafloor, trailing behind a fishing boat and snapping a continuous strip of pictures of the life at the ocean bottom. HabCam surveys are also revealing a potential threat to the scallop fishery: an invasive marine invertebrate that is colonizing the very ground the scallops rely on. The Seahorse is the fourth version of HabCam, an instrument originally created to better count scallops. Former scalloper Richard Taylor had seen scallop industry's worst times around 1994, when the prime fishing areas were closed to protect depleted groundfish and scallop populations. But by 1996, scientists discovered that areas that had been shut down to protect certain fish species were rich with scallops. The industry has been thriving since the late 1990s, after regulators installed a plan to cut down fishing days and rotate fishing between different areas, to allow the stock to replenish in untouched regions. Bob Keese is a scalloper operating out of Chatham, Massachusetts on Cape Cod. This video showcases how Bob and his crew fish for scallops using a dredge, and shuck 600 pounds of scallop meat before they reach the docks at the end of the day. Last year, the Atlantic sea scallop catch was worth $580 million in revenues, and the industry's best-known port of New Bedford has been the nation's top fishing revenue port for 11 years running. Back around 2002, Taylor knew things were going well, but also knew how quickly they can go bad. He was particularly concerned about the inefficiency of the primary method for sampling scallops for use in population estimates – using a dredge to scoop them up. A dredge misses varying percentages of the scallops it goes over, and Taylor worried the flawed information could eventually lead to the overfishing or underfishing that can drag down the resource and the fishermen. Taylor talked with Woods Hole Oceanographic Institution biologist Scott Gallager, whom he had worked with on scallop issues. "We need a better tool," he told Gallager. They helped develop the Seahorse, along with the Deep Submergence Laboratory at Woods Hole. It's an advance over previous versions of HabCam because it's equipped with strobes and two cameras, instead of one, enabling it to take 3-D pictures at a rate of 10 overlapping images per second. It has side sonar to give high resolution images of the surrounding topography, and also equipment to measure variables such as temperature and water color. The Seahorse is towed at about 7 mph, and moves 6 feet above the ocean floor. The instrument, about 10 feet long and about 3 feet wide, is controlled by joystick by an operator in the towing vessel. Since 2010, NOAA has spent $856,000 to develop, test and deploy the Seahorse. Researchers have made a first pass through the 7 million images, studying 1 of every 200, and the data is being used in management decisions, Hart said. A more detailed look is planned, she said. The voluminous detail the Seahorse collects has application well beyond scallops and their habitat. Hart notes, for instance, that the Seahorse captured pictures of the struggling yellowtail flounder, and may contribute to research in that fishery. Its images of the effects of fishing gear can inform the hot, yet data-poor debate about whether fishing gear is wrecking the ocean bottom. The Seahorse can't replace the dredge as a sampling tool. Scientists need to actually pull up scallops to get key information, such as by studying rings on the shells (much like tree rings) to learn about their growth rates. And Taylor cautioned that new data from the Seahorse doesn't necessarily mean much when it comes to managing fisheries. "I'm somewhat skeptical," he said. "Just because you have better data, doesn't mean automatically that better decisions are made." Scalloper Paul Rosonina runs a vessel that's towed the Seahorse and has been part of its development for years. Scallop industry regulators can't do the right thing without good information, and that's what the Seahorse is about to him. "You think I don't want my son to have a future?" he said. "I want my grandson to have a future; I want my great grandson to have a future. I don't want this to die. ... I think it should be around forever." Two of the world's smallest countries are to place nearly 2.5 million square kilometres of south Pacific Ocean in newly created marine protected areas. The Cook Islands, nation of 20,000 people on 15 islands, formally announced on Tuesday the creation of the world's largest marine park covering nearly 1.1m sq km, an area bigger than France and Germany. "This is our contribution not only to our own wellbeing but also to humanity's wellbeing," said the prime minister, Henry Puna. "The Pacific Ocean is source of life for us. We are not small Pacific island states. We are large ocean island states," Puna said at the opening of the Pacific Islands forum, where leaders of 16 Pacific countries including New Zealand and Australia are meeting in Rarotonga. The new Cook Island marine park will be zoned for multiple uses including tourism, fishing, and potentially deep-sea mineral extraction but only if these activities can be carried out sustainably, he said. The precautionary principle will determine what activities can take place, he said. New Caledonia, the Cook Island's Pacific island neighbour and former French territory, also announced it will create a new marine protected area roughly half the size of India, covering 1.4m sq km. "New Caledonia wishes to play its part in the sustainable management of our oceans," Francois Bockel, the head of regional development told the Guardian. Pacific island nations have committed to a new approach to sustainable ocean management called the Pacific Oceanscape for the 40m sq km inside their collective exclusive economic zones. The region contains the largest pristine marine ecosystems and is home to 60% of the world's tuna stocks, scientists say. The tiny Pacific island nation of Kiribati launched the Pacific Oceanscape concept and created the 400,000 sq km Phoenix Islands protected area in 2008. 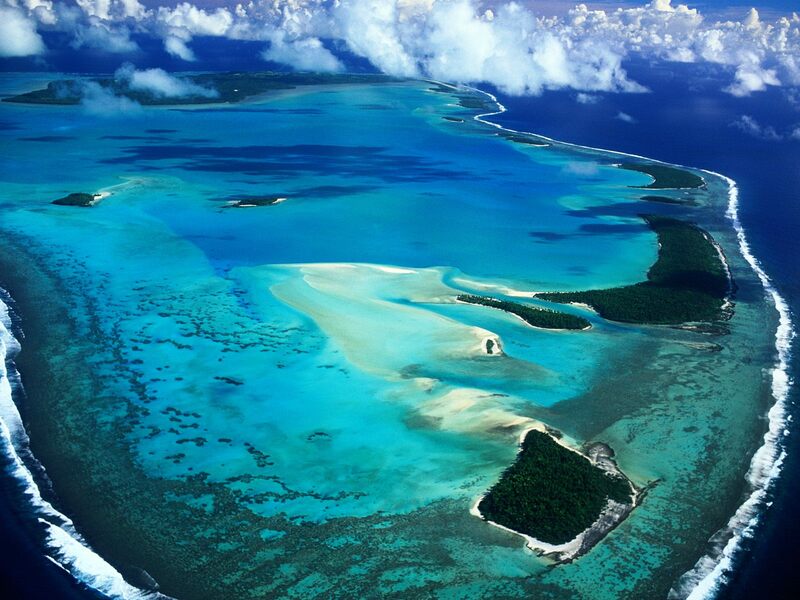 Other Polynesian nations such as Palau and Tokelau created vast whale, dolphin and shark sanctuaries in their waters. In June, Australia announced it would expand its network of marine protection reserves to 3.1m sq km including nearly 1m sq km in the south Pacific. "Nearly every indicator shows that the world's oceans are in decline," said Michael Donoghue of Conservational International. "What is being announced here [in Rarotonga] is far more than has been achieved anywhere else in the world. It will be of enormous benefit to all of mankind." Previously the world's largest marine reserve was the 545,000 sq km area established by the UK around the Chagos Islands in the Indian Ocean. Sir David Attenborough reveals the findings of one of the most ambitious scientific studies of our time - an investigation into what is happening to our oceans. He looks at whether it is too late to save their remarkable biodiversity. Sir Attenborough explores some of the ways in which we are affecting marine life - from over-fishing to the acidification of sea water.